The growth of the multicultural population has made it one of the most sought-after market segments of the past three decades. With its buying power now topping $3.5 Trillion, it's easy to see why. However, for many companies already targeting this lucrative market segment and for those who are considering it, success is not always guaranteed. Even companies with a reputation for well-planned and implemented programs often fail to approach this market as a value building business proposition. In part, current day political rhetoric is hitting up against how or if to cater to multicultural consumerism. That said, the tug of war between wanting the growth this market represents and committing the required resources to achieve it continues. Companies are literally standing in the way of their own success. 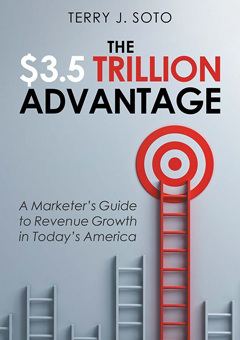 In her new book, The $3.5 Trillion Advantage - A Marketer's Guide to Revenue Growth in Today's America, Soto seeks to accomplish three important goals. 1. Dramatically improve organizations' business condition by raising consciousness of what's working and what isn't as companies set out to enter new markets in the U.S., 2. Reinforce that entering any new market to grow revenue is serious business and requires a methodical and integrated management approach and 3. Convey that proven strategies, business models, principles, methods and approaches companies currently employ don't need to change, but they do need to be carefully optimized for increased relevancy in new markets. 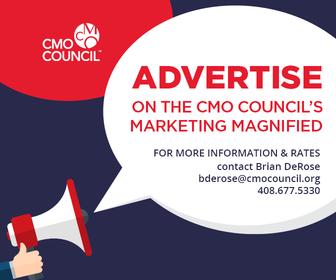 The $3.5 Trillion Advantage exposes the longstanding and lingering dysfunction existing in multicultural marketing. Soto holds a mirror to what marketers are doing well and not so well using archetypes -- Deniers, Dabblers,and Committed -- and then shifts to a wealth of insights and winning methods with examples from some of Soto's most successful corporate clients. "My book could not be timelier given the current political and ideological climate the nation is undergoing. We will soon undergo the 2020 Census which will no doubt further reinforce the urgency and need for the re-visioning and actions I advocate," Soto declares. This book is an important management resource for new and experienced executives charged with driving top line growth for their organizations. Buy it. Read it. Use it. for business or wasteful self-indulgence? Can a CEO’s misbehavior in a taxi cab one day bring a PR crisis the next? What happens when the public calls you out on a political position you didn’t even mean to take? 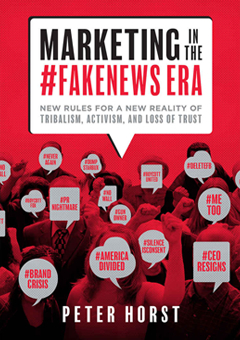 This book tackles questions like these, outlining how a company must carefully navigate the waters of the #FakeNews Era, where moral scrutiny and consumer outrage abound. 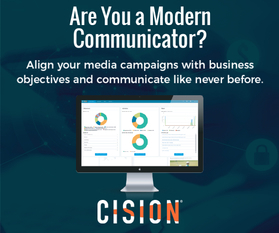 Here you’ll find strategic and tactical guidance on how to prepare yourself for what may lie ahead, because you won’t have time to puzzle it out when you get that dreaded late-night call from PR. 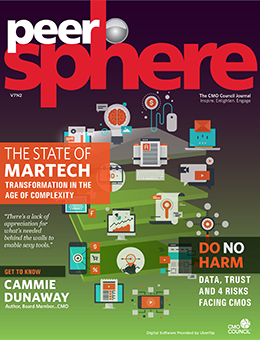 PeerSphere is the quarterly e-journal of the Chief Marketing Officer (CMO) Council, an organization dedicated to high-level knowledge exchange, thought leadership and personal relationship building among senior corporate marketing leaders and brand decision-makers across a wide range of global industries. 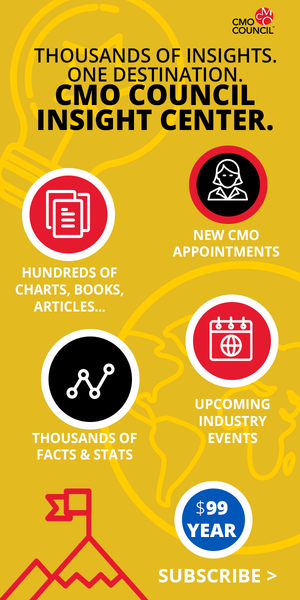 The journal is peer-inspired, peer-driven and peer-influenced and provides insight from global marketing leaders about best practices and strategies in the marketplace. PeerSphere is available on a complimentary basis courtesy of our sponsor, Thomson Reuters. If you would like to get involved in PeerSphere as an interview or profile subject, please contact Managing Editor Mary Anne Hensley regarding any inquiries.